If 2008 seems hard to classify, all professionals are extremely happy with the quality of wine produced. Freshness, a distinct fruity expression, more than satisfactory healthiness, all the conditions are here to qualify 2008 as a great vintage year! In the beginning optimism was not part of the decor as admittedly the weather conditions, and consequently the ripeness, had been rather peculiar. In fact, the vine cycle in 2008 had come full circle with that of classic vintages before 2000. The terrible and fresh weather conditions in winter and in April caused a significant gap between the early and late sectors, resulting in budding in the last days of April, about two weeks later than usual. The month of May was remarkably hot and boosted the plant growth development, catching up on the lateness. The flowering occurred around June 15 but spreading over 15 days due to the damp and fresh weather of this month. This contributed to accentuate even more the gap between the early and late areas and created significant outbreaks of mildew. The summer was marked by damp and hot periods with its load of local and oftentimes violent storms. But it never reached scorching temperatures, just ideal conditions to preserver both the aromas and the acidity. Considering a certain amount of diversity, both on the ripeness level and the health –state (controlled vine growth-rate in 2008), professionals quickly picked the grapes from the early-ripening terroirs. The first two weeks of the month of September were fairly wet with fairly heavy rainfall on September 13. Fortunately, the next day some cool, sunny and windy weather moved in allowing the grape bunches to dry out and therefore avoid any large development of rot. The harvest was very spread-out over time to take advantage of the optimum late autumn climatic conditions (dry and sunny weather). September 15 for AOC Crémant d’Alsace. September 25 for AOC Alsace and for AOC Alsace Grand Cru. October 9 for the Vendanges Tardives and Sélections de Grains Nobles. The overall production in 2008 was 1131 443HL, a decrease of 1.8% compared to 2007, and is broken down in the following way: (882,668 hl for AOC Alsace and Alsace Grand Cru and 248,775hl for AOC Crémant d’Alsace). 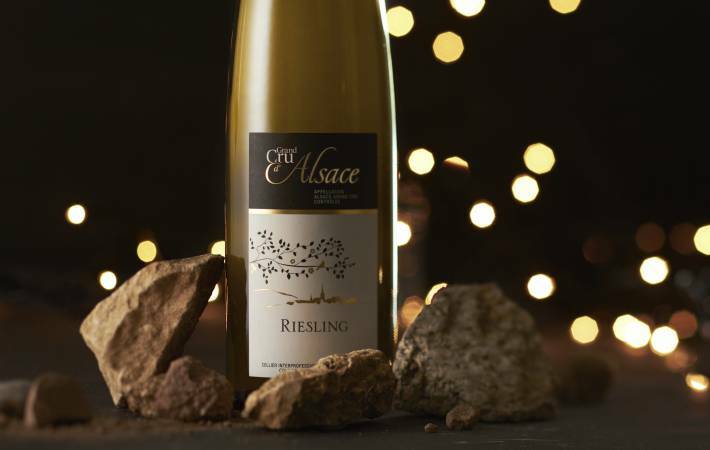 Crémant d’Alsace is part of the very successful productions, combining finesse and clarity. Gewurztraminer is also superb in 2008. Small yields and freshness level for this variety allowed for pure wines with a remarkable aromatic typicity. Sylvaner and Pinot Blanc are straightforward and clean. Muscat is very crispy, but the strong coulure of Muscat Ottonel contributed to seriously limiting the yields. Riesling had very long ripening periods but the exceptional quality of the Grands Crus produced wines can be applauded. Pinot Noir especially took advantage of the sunny late autumn weather, combining colour and fruitiness. The health of Pinot Gris was variable depending on the zones. Contrary to 2007, there are no hints of over-ripeness and are, on the contrary, fruity, smoky and perfectly balanced. The exceptional climatic conditions of October allowed for numerous batches of Vendanges Tardives and then of Sélections de Grains Nobles to be produced. This is also a great vintage year for long-keeping wine!